Features wonderful, relaxing spa products along with decadent, rich, melt in your mouth chocolates. A relaxing spa day and fine chocolates, Could there be a more perfect gift basket for a special woman? 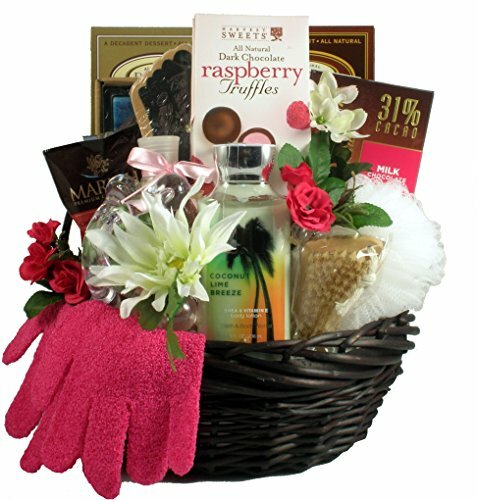 Makes a great birthday gift basket for her or a super special mothers day gift basket for a special mom. Treat her to an afternoon of self-indulgence-this basket will spoil her skin and her taste buds. Made in the usa and usually ships from Florida the same day we receive your order.